WTF do these two things have to do with each other, you ask? I’ll explain. I was sitting at the computer this morning and I went to clean my glasses. I’ve been using my father’s hankies to clean them. 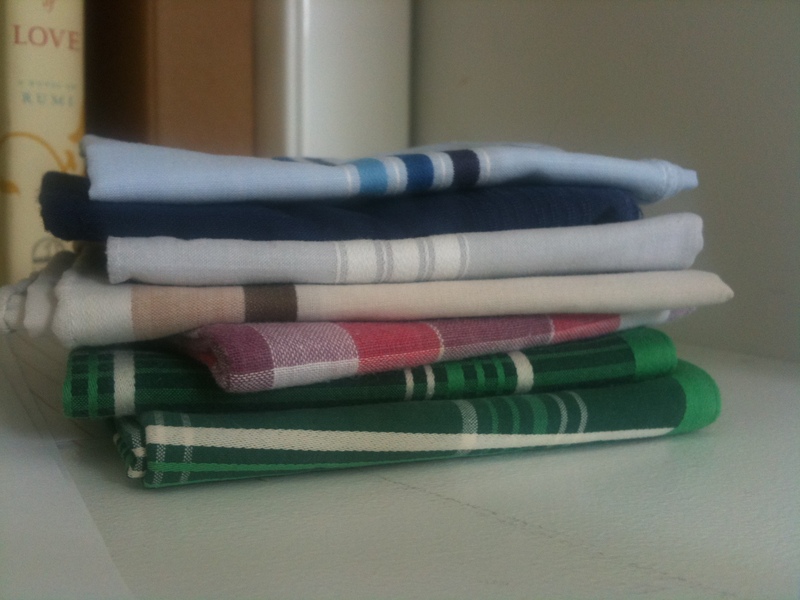 My father died over 20 years ago, but I’ve only recently come into possession of his hankies. I found them stacked in a drawer in a closet as we were cleaning out after my mother’s death. On impulse, I grabbed them and took them home. I have strong, and somewhat unpleasant, memories of ironing them when I was a kid. I think I burned myself once or twice on the iron, and sometimes there were weird stains that didn’t come out. And yet, their soft cotton and cool, manly colors in rather sophisticated plaids called out to me. They are really, really good for cleaning glasses. So as I was cleaning my glasses this morning, I remembered a picture I saw in Denver, Colorado, the other weekend. Benjamin Ross was giving a talk on his new book, The Polluters: The Making of Our Chemically Altered Environment, and he showed a picture of the first Earth Day. It was a picture I’d never seen before, of a place I’ve seen thousands of times: Fifth Avenue in New York City. It was PACKED with people. The whole avenue was blocked and filled. It was a powerful image, and one I never remember seeing in real life for any reason. Sure, there is the occasional parade. And once I stood in a crowd for hours in the cold to see Princess Diana. But that was only a block’s worth of crowd, not a whole avenue’s worth. I had gone to Denver to speak at the Beyond Pesticides conference because Jay Feldman, the founder, had known my father, and had continued to do great, important work for people and the environment ever since then. I had felt that if my father were still alive, he would have gone, and urged me to go, too. And so I went. I’m glad I did because it was a microcosm of all the interesting things going on in this world—from boundary-breaking research on the connection between pesticides and many of our diseases; to the overuse of pesticides and bedbug resistance; to the amazing cowgirl gypsy goat herder who has been using goats’ natural tendencies to restore and heal landscapes all across the west; to the young woman who believed that organic was a dirty word and anything supported by the U.S. Government must be corrupt. But they were all there, on a weekend, engaged, questioning, and working hard to heal themselves and our Earth. I was glad to be there and see all the unique and dedicated people who are trying to make the world a better place. So here is where it all comes together: People come and go—in our lives, on this earth. We are born, we live, we love, we die and who knows where we go. But often we are remembered by what we leave behind. My father was a simple man. He didn’t leave behind much in terms of material things: some guns and belt buckles and bolo ties. A few VW bugs. Those woolen cycling pants that I had already taken. Books. And hankies. Who uses hankies anymore? Not too many people. But they are useful and not wasteful, and every time I use one to clean my glasses, I see the world more clearly. And what I see is that we all need to be more mindful of what we leave behind us. We can leave behind us bad things: trash, plastic, toxic waste, toxic emotions, pain, too much junk and crap…. Or we can leave behind good things: more trees, organic landscapes, treasures of lasting quality and beauty, love, love, and more love, recipes! And, perhaps, a few useful hankies. So this Earth Day, think about what you leave behind you as you travel through the universe. That’s what I’ll be thinking about, too. I too,have Hankies. I have collected them from my grandmothers homes after their deaths, I have purchased them after Christmas in the mens department and while my father is thankfully still living, I have swiped a couple from him as well. I love a good soft cotton hankie. I use them for their intended use, but also to clean my glasses, and I keep one in my purse to wrap around a water bottle when it starts to sweat, so much nicer than a styrofoam jacket and prettier too. And if I need to tie my hair back, they keep a good knot! Nice memories. I also have hankies, exquisite lace added by my Mother. Perfect. 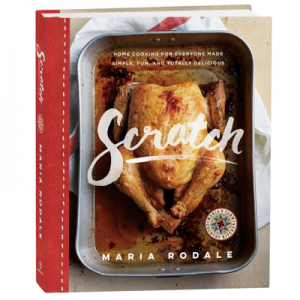 Wonderful story Maria…and Happy Earth Day to you! In honor of Earth Day, I will be collecting the garbage in my neighborhood that people have left behind on this universe. I started my quest last night, and so far it’s very disturbing looking at what I have found. The #1 item by far is cigarette butts. I wish people would remember that the earth it’s not their personal ash tray. My dad used hankies, too. Wish I had kept them. Yes, I love hankies! When I was 5 yr old – about 70 years ago – I wanted to learn how my mother made such beautiful things with embroidery. So she drew the letter “B” on my daddie’s hankies and taught my 4 yr old brother and me how to make beautiful things. I’m sure those first hankies were not so perfect but my daddy thought they were. I wish I had some of those hankies still. Beautiful memories though. I am wondering why you started this article w/ the initials “WTF” – unless you have some use for them that escapes me. I have really enjoyed reading your newsletter and have even highlighted it on my blog, but I am disturbed by this apparent off-the-cuff use of profanity. Please explain. I hope that I am wrong. I saved my dads hankies to Maria. I usually use them for mopping my brow while doing yard and garden chores. Still useful after all these years. Great story. Thanks. I use hankies since I was a little girl thanks to my grandfather who gave me several always with a penny- as to say:may you be blessed and seldom to not have to use it. I returned from Japan with my collection of hankies. And I guess I’m a sensitive soul and also generous to a fault- I felt embarrassed handing it back to him (I only wiped my tears mind you, out of politeness) but what a compassionate gesture! I’m kind of new to the organic thing. 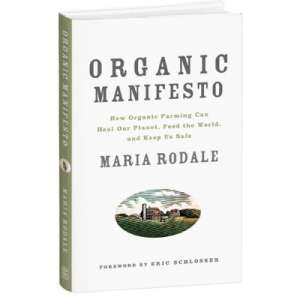 I’m not an avid reader but I did manage to read your book, Organic Manifesto. It opened my eyes to alot of stuff I was completely unaware of and have begun to make some diet and lifestyle changes. I work part-time at a local greenhouse. Today, a customer asked where our organic potting soil was located. I led him to the product and he started to share a little bit about his organic garden and greenhouse. For an almost 80 year old man, I was very impressed and interested in what he had to say. I didn’t catch his name but he said he was a personal friend of your father. This man’s parents lived in Russia and he mentioned that he was supposed to go with your father (but didn’t) on what wound up to be his last trip. Your dad left a great legacy. In a way, he’s still living through the work he did. Whenever a customer asks me about what to put in their soil, I don’t even mention the chemicals…on almost every occasion I persuade them to go organic. Little by little we will make a difference, convincing one person at a time who will then convince someone else and on it goes. I appreciate your hard work in continuing to get the word out…people are listening and things are changing. I love this little story, especially since I am in the process of moving away from the house where I lived since 1986. Thank you all for sharing your stories and comments! I love the Japan airport story and can picture it perfectly. The Japanese also have lovely little decorated hand towels they carry around with them as well. And Steve, thanks for news from old friends of my father…and for helping people one at a time make the right choice! And WTF? How about it means What The Fanuncular? Or What The Fright? Or What The Freakalicious? Or What the Fun? I still use hankies instead of kleenex. They are soft and easy on your nose, less likely to causes that chapped nose, that comes with allergies or colds. I use men’s hankies for daily use and decorated women’s when I’m out and about in public. It takes new old growth timber to make tissues softer, when I heard this I replaced tissues with hankies. Besides they remind me of my grandma and grandpa. My husband has plenty of hankies in all colors, fabrics and prints, not just white. I love when he puts them in his jacket pocket. I use them sometimes myself, and not for my nose, but many other things, including cleaning my glasses. Now I don’t throw away so much paper anymore. Anyway, tissues are very linty, like soft toilet paper. Bless everyone who is trying to make this world a better place, especially for the future. Nice story, tied together so well. Thanks for the memories of my dad’s hankies. I, too, used to have to iron them and be grossed out at times. I’ll have to ask my mother if she still has them and can spare a couple.